Even if you are on a tight budget, you can still give your kitchen a remarkable makeover. In fact, all you need are some sure-fire tips on how to remodel a kitchen without breaking the bank. Read along and discover these 5 tips to remodel your kitchen on a budget. In every project that will sure cost you a lot of money such as remodeling or renovation, it is always practical to start by deciding on the amount you are willing to spend. By setting a budget, you will have a clearer idea of your finances, as well as the amount of money that you are most likely to spend on the project. While it may seem too simple to set a budget, it may not be as easy as you assume it to be due to several factors. For instance, upscale kitchen remodeling projects may cost over $80,000, and you can always make tweaks to adjust the cost based on your finances. Just be sure that the money you allot can be recovered upon selling your property. If you are planning to stay longer in your home, spending more on a kitchen remodel is practical. After you have decided on your budget, know the percentage of each item involved in the project. For instance, at least 30 to 35 percent will be allotted on cabinets, 20 percent is for the labor, 20 percent for kitchen appliances, and the remaining percentages for the windows, fittings, fixtures and other decorative items. Make it a point to know your priorities, so you will not end up spending too much on the least important part of the remodeling project you are looking to have for your kitchen. There will always be some unexpected things to come along the way, and you need to be prepared for these. Electrical wiring may need to be updated, and your walls may also require a fresh coat of paint. With this in mind, have some money allotted for these unexpected costs, so you will not stress yourself out when you encounter some surprises during the kitchen remodel. If you are on a very narrow budget, it is only right that you set your priorities and stick to these. Are you more keen on buying new appliances, or do you think having nicer cabinets is more important? By listing your priorities, it will be easier for you to set a budget and allot the right amount for each item. Discuss with your contractor the terms of payment for the project, or how you plan to pay for this task. You may consider taking out home equity loans, and there are other options such as a personal loan or refinancing. No matter what you decide, it must be something suitable to your finances and ability to repay your loans. 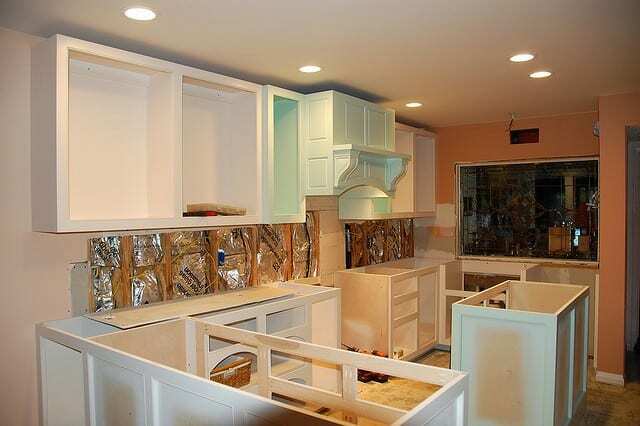 Keep these tips in mind during a kitchen remodel and avoid any hassles on your finances.